North Carolina Gov. Pat McCrory (R) on April 1 signed into law a bill to help limit an upcoming decrease in the state gas tax and stabilize the tax going forward. North Carolina’s current state gas tax rate is a combination of a flat tax of 17.5 cents-per-gallon and a variable wholesale gas price component, which is determined as either 3.5 cents-per-gallon or 7 percent of the average wholesale price of motor fuel, whichever is greater. 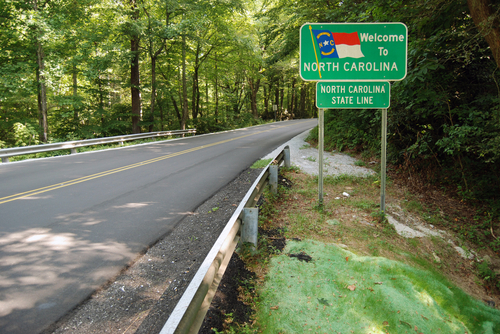 Due to a decrease in the price of gasoline, this calculation would have likely dropped the amount collected by the tax to below 30 cents-per-gallon as of April 1, costing the North Carolina Department of Transportation hundreds of jobs and an estimated $400 million in funding. The bill signed by Gov. McCrory will reduce the state gas tax by 1.5 cents-per-gallon immediately, another 1 cent January 2016, and an additional 1 cent July 2016. This would bring the state gas tax to 34 cents-per-gallon until the end of next year. Starting in January 2017, the state gas tax would be calculated based on changes in both the national Consumer Price Index (making up 25 percent of the new tax) and in the state population (making up 75 percent of the tax). This new formula would replace the state’s current variable-rate tax.